The United States Integrated Ocean Observing System (U.S. IOOS®) is a vital tool for tracking, predicting, managing, and adapting to changes in our ocean, coastal and Great Lakes environment. U.S. IOOS delivers the data and information needed, so that decision-makers can take action to improve safety, enhance the economy, and protect the environment. 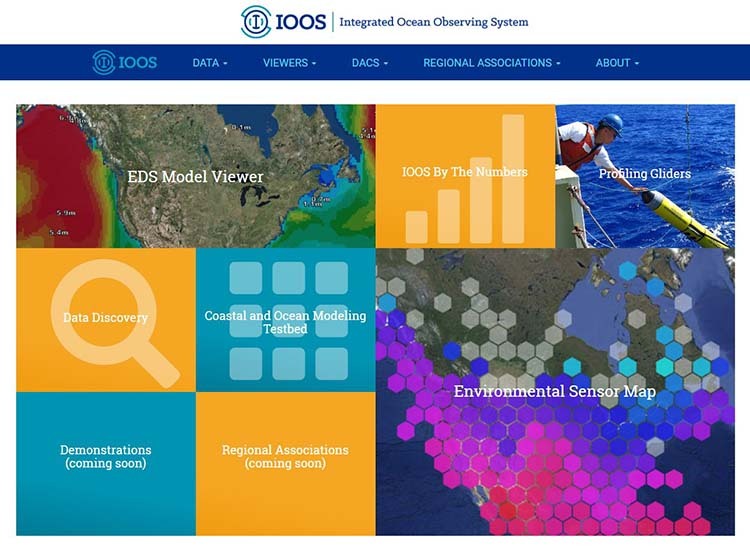 Explore the interactive features of the new IOOS Data Catalog.